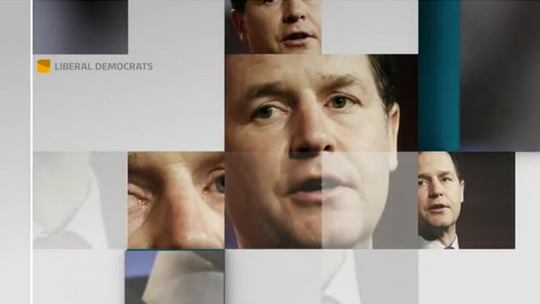 Elections in America represent big business for the various news networks, with them rolling out the latest and great in technology and coverage tools. 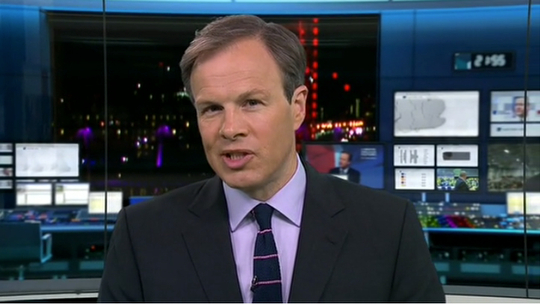 In the United Kingdom, this though, has not been the norm. 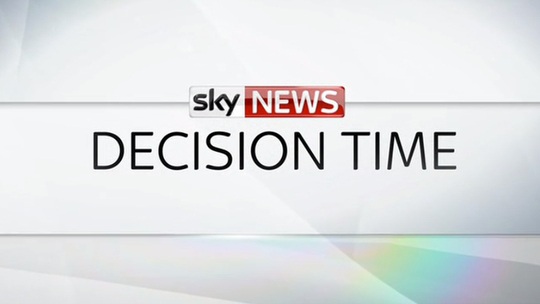 This years election is a bit different, with multiple parties vying for control of parliament, and likely resulting in a hung parliament where parties will have to form a coalition government. 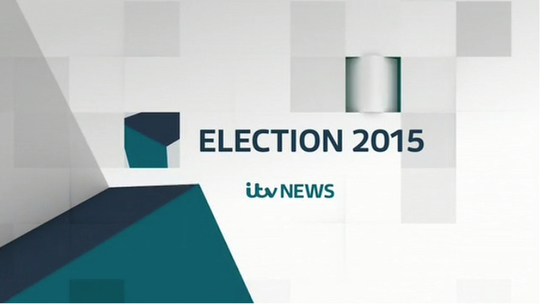 With this in mind, the main networks in the UK have went all out with American-style election coverage. 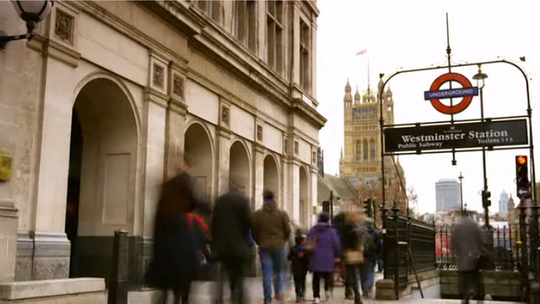 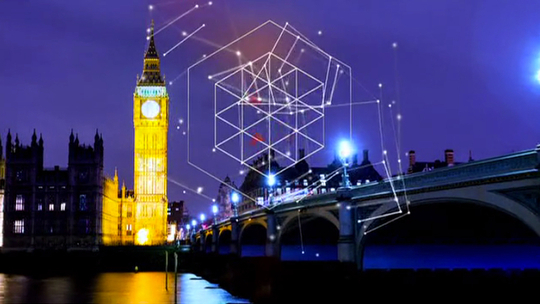 BBC’s election opening titles included time-lapse footage from around London, including many landmarks. 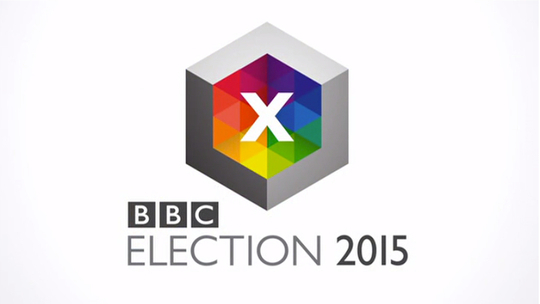 At the end of the titles, the “BBC Election 2015” logo was revealed from a series triangles that became a hexagon of colors. 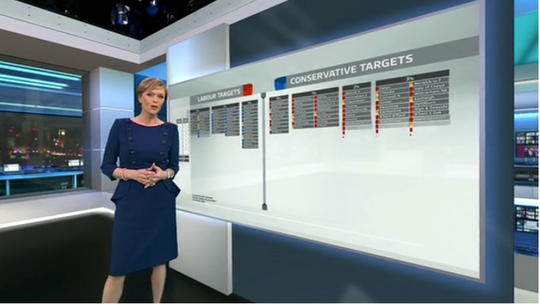 This hexagon theme was carried throughout, and is detailed in our write-up on the BBC’s studio. 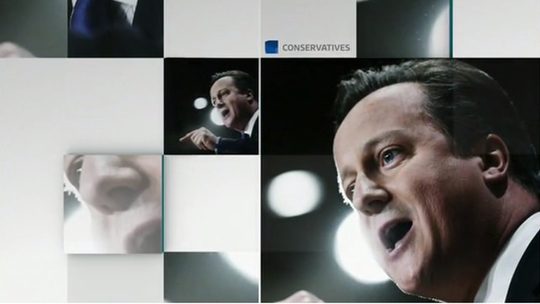 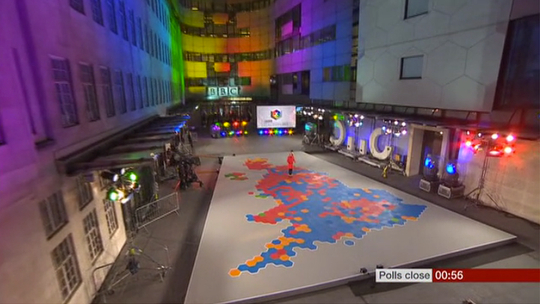 BBC had many visual elements, including a large outdoor election map that would like right at home on NBC’s coverage. 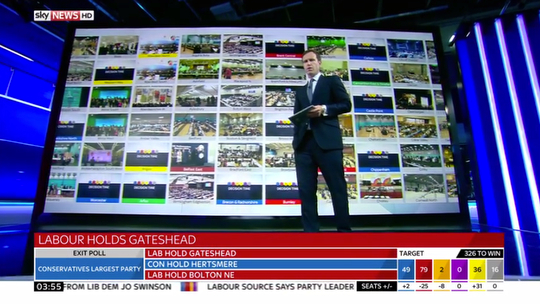 Along with a special election studio, Sky’s “Decision Time” made large use of a giant data wall, which included live feeds and breakdowns of data. 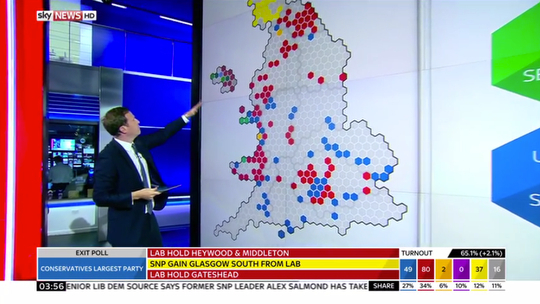 Sky News touted their live capabilities for the election, sending backpack transmitters to nearly every location it possibly could. 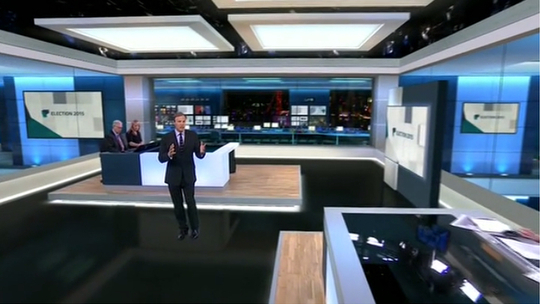 ITV’s coverage built upon the main ITV News graphics package and studio, with some modifications. 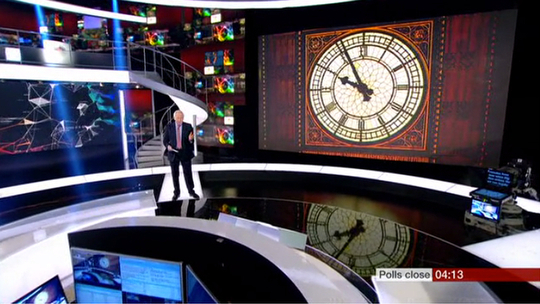 The virtual studio was updated with a larger physical desk and a new virtual set extension by Jim Mann’s Lightwell. 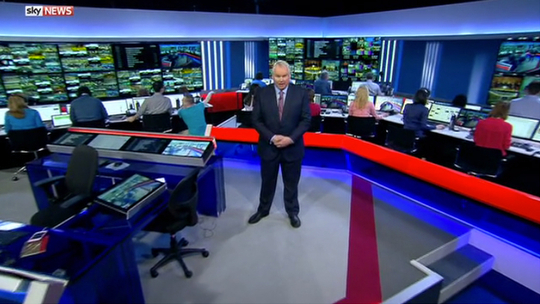 The updated background added in more newsroom with workstations. 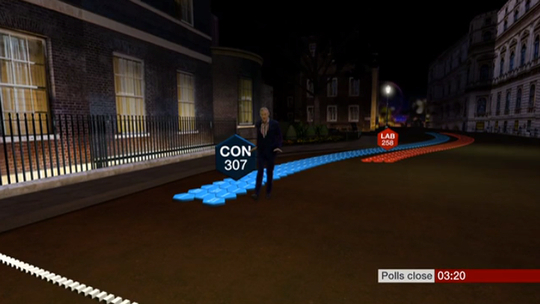 A second desk was also added that included some election analysts. 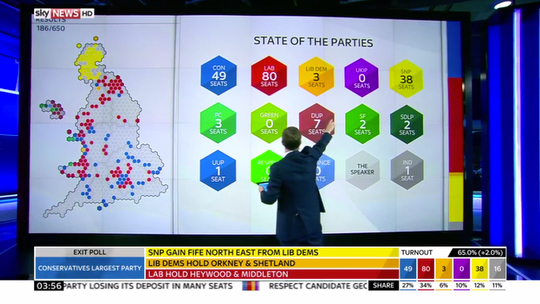 While Sky News and BBC both opted for a hexagon look, ITV News used a square that had been turned in 3D throughout its graphics package.